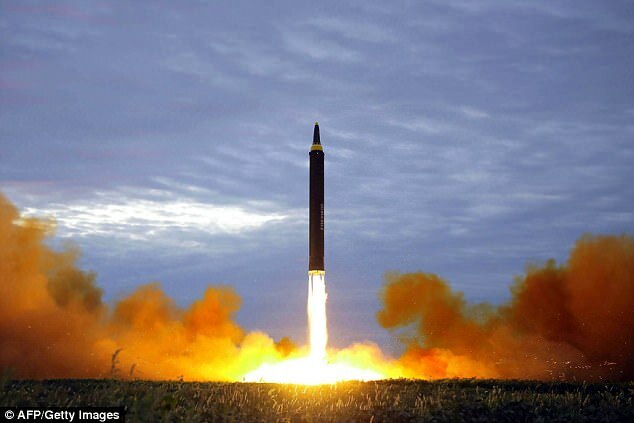 It was launched from the Sunan district of Pyongyang, South Korea’s military said. It comes as North Korea threatened to nuke Japan and reduce the US ‘to ashes and darkness’ in response to the latest sanctions imposed by the UN. ‘Japan can never tolerate this repeated provocative action by North Korea,’ Tokyo’s government spokesman told reporters. It landed 1,240 miles off the cape of Erimo in Hokkaido island at about 6.57am local time. South Korea’s defence ministry said it probably travelled around 2,300 miles and reached a maximum altitude of 478 miles after being launched near Pyongyang’s airport. The North previously launched a ballistic missile from Sunan on August 29, which flew over Japan’s Hokkaido island and landed in the Pacific. 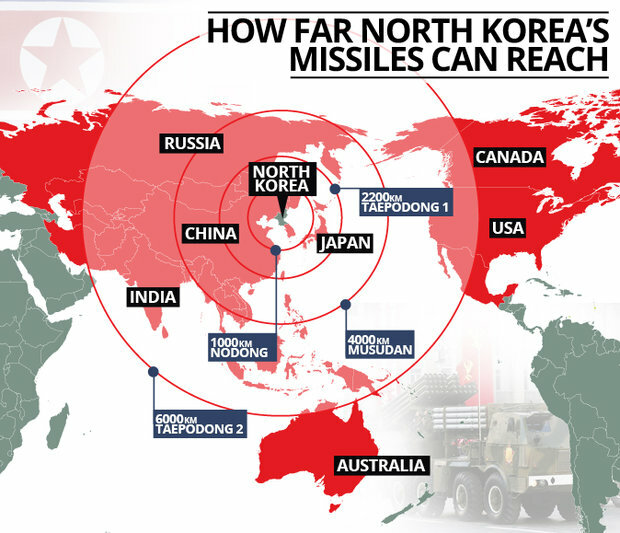 The South Korean and US militaries are analysing details of the launch, the South’s Office of the Joint Chiefs of Staff said. US President Donald Trump has been briefed about the launch, Chief of Staff John Kelly said. ‘Let’s vent our spite with mobilization of all retaliation means which have been prepared till now. These are voices of the Korean army and people. ‘Also heard in the DPRK are strong accusations against the Japs who have zealously joined in the US racket for sanctions. ‘A telling blow should be dealt to them who have not yet come to senses after the launch of our ICBM over the Japanese archipelago.